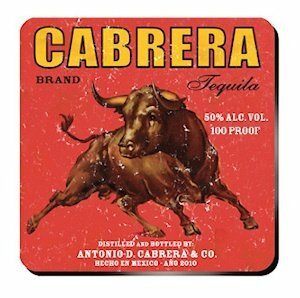 Straight out of Mexico, this faux-vintage coaster set creates a new brand of tequila with your recipient's last name! The bright colors and charging bull make these coaster appear authentic, even though you know they are not. Unless they look closely, guests won't even know the difference. Text is written in English and Spanish, and includes your choice of first and last name and established date.